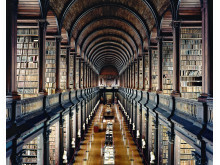 London, February 15, 2018: The World Photography Organisation is delighted to announce celebrated contemporary artist Candida Höfer as the recipient of the 2018 Sony World Photography Awards’ prestigious Outstanding Contribution to Photography prize. The artist will be presented her award at a ceremony held in London on Thursday April 19, 2018. A personal selection of Höfer’s works will be shown as part of the 2018 Sony World Photography Awards Exhibition at Somerset House, London from April 20 - May 6. 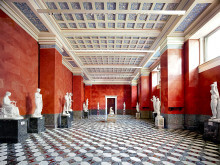 German artist Candida Höfer (b. Eberswalde, 1944) is one of the world’s foremost contemporary photographers. 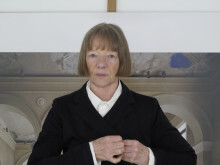 Renowned for her precise methodology and technique, Höfer’s internationally recognized work often takes the form of large-format color photography. 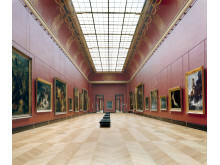 Her powerful portraits of vast, empty interiors are part of major collections around the world and are exhibited in leading international museums. In celebration of Höfer’s contribution to photography, the artist has personally selected works from across her long career to be shown as part of the 2018 Sony World Photography Awards Exhibition at Somerset House, London. The exhibition will include three of Höfer’s most notable large-scale pieces –Musée du Louvre Paris XXI 2005, Hermitage St. Petersburg VIII 2014 and Trinity College Library Dublin I 2004 - and are on loan from Ben Brown Fine Arts, London. Previous recipients of the Outstanding Contribution to Photography title include Mary Ellen Mark, Eve Arnold, Bruce Davidson, Elliott Erwitt, and most recently, Martin Parr. Höfer’s works will join more than 600 inspirational images from across the 2018 Sony World Photography Awards, the world’s most diverse photography competition. Curated by Mike Trow, former Picture Director, British Vogue, the exhibition’s images have been specially selected from record-breaking submissions to the 2018 Awards. Covering a wide variety of genres; from architecture to landscape, street photography to wildlife, portraiture to travel, these shortlisted and commended works will provide audiences a true insight to the photographic trends that have shaped the last year. Speaking of her award and the upcoming exhibition, Höfer said: "I feel very honored. I hope this will help to continue to break down barriers between Photography and Art in public perception." The shortlist for the 2018 Sony World Photography Awards will be announced Wednesday, February 28. The winners will be revealed April 19, 2018. 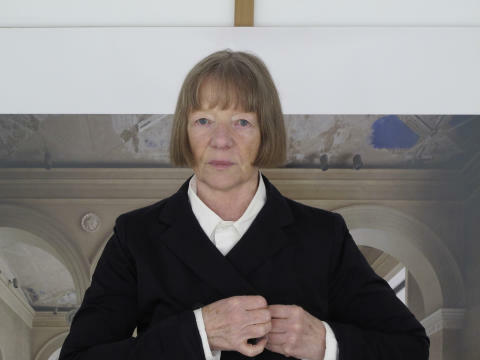 After completing her training at the Schmölz-Huth Studio, Candida Höfer began studying under the influential photographers Bernd and Hilla Becher in 1976. Höfer's internationally recognised work has been shown at the Kunsthalle Basel, Basel; Kunsthalle Berne, Berne; Museé du Louvre, Paris; Irish Museum of Modern Art, Dublin; the Tate Liverpool; the Barbican Art Gallery , London; and most recently at The State Hermitage Museum, St Petersburg. Höfer has represented Germany at the 50th Venice Biennale (2003), participated at Documenta 11 (2002), and her photographs are part of major museum collections across the globe, including Tate Britain, London; Centre Georges Pompidou, Paris; Museo Nacional Centro de Arte Reina Sofía, Madrid; Museum Folkwang, Essen; Kunsthalle Hamburg, Hamburg; The Metropolitan Museum of Art, New York; and The State Hermitage Museum, St Petersburg. The artist is represented by Ben Brown Fine Arts, London. benbrownfinearts.com. Exhibition prints are available via the Official Exhibition Partner, theprintspace. Somerset House is a new kind of arts centre in the heart of London, designed for today’s audiences and creatives. Offering a diverse and dynamic public programme of contemporary arts and culture, we are also a home to a large community of creative businesses, artists and makers, including Somerset House Studios. One of the city’s most spectacular and well-loved spaces, we are a place where art and culture is imagined, made and experienced by our 3 million visitors every year. Please read before using any attached images.